Dost mine ears deceive me? 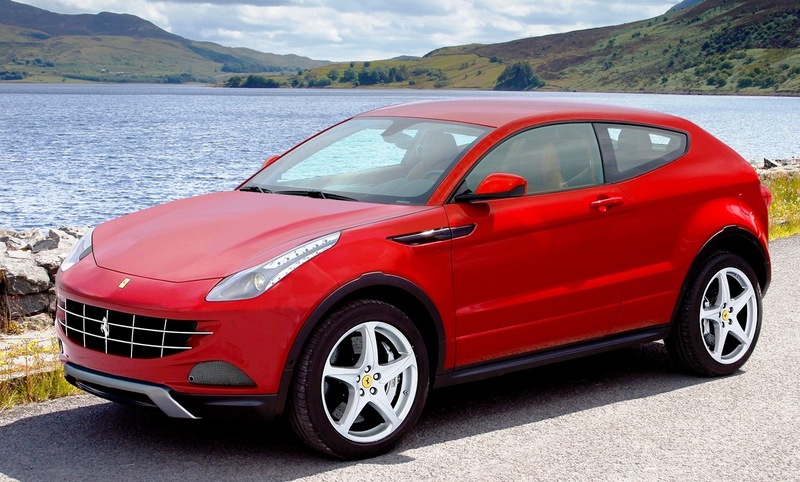 A Ferrari utility vehicle…could it be true? According to Sergio Marchionne, Chairman and CEO of Ferrari (among other manufacturers), the production of a Ferrari SUV–or “FUV,” as he calls it–is indeed, happening. After Marchionne alluded to reporters at the New York Stock Exchange that a Ferrari SUV is most likely on the horizon, Ferrari lovers and enthusiasts everywhere, were shocked. For months, if not years, Ferrari has denied even the possibility that the brand would cross over and make a sport utility vehicle. Understandably so, since the idea of a four-door Ferrari in general seems perposterous, but an SUV? That is downright blasphemy to some. The closest Ferrari has come to deviating from its race-track roots is the GTC4 Lusso (formerly the FF), wagon-like in structure, but even that is still just 2-doors. Porsche and Maserati have taken the plunge into the SUV market, and have been followed by exotic competitors, Rolls-Royce, Bentley, Aston Martin, even Lamborghini. Ferrari seems to be the only notable SUV holdout in the luxury market, but that may not be the case anymore. What does this mean for the Ferrari brand? The profit margins on SUVs are high, there is no doubt about that, but is it worth it? What will this do to the pre-owned Ferrari market? What will this do to Ferrari’s most loyal followers? Ferraris already are among the most expensive cars on the exotic market, let alone in the world…is it really worth capitalizing on a financial opportunity in an effort to gain, when there could be so much more to lose? To many purists, an SUV, the ultimate sell-out move, will ultimately cheapen the Ferrari name. Are they right? And finally, what would Enzo Ferrari think of this? Some, if not most, believe that the company’s founder is no doubt spinning in his grave at the very thought of introducing an SUV and bowing to market pressure. We discussed last week how over-production in the car market can diminish a brand’s value. If Ferrari continues to ramp up production and create models that stray from Enzo’s initial vision, this could happen to them, too. Ferrari’s long-held strategy of limiting volume, even at the expense of profits, seems to be shifting under the reigns of Marchionne. During his appearance at the NYSE, Ferrari’s CEO explained, “We need to learn how to master this whole new relationship between exclusivity and scarcity of product…Then we’re going to balance this desire to grow with a widening of the product portfolio.” So, we can’t really get mad at anyone for wanting to grow, expand, and make more money. As Ferrari enthusiasts, however, we can kick and scream about it in the meantime. On the bright side, older Ferraris out there on the market continue to rise in value, as the exclusivity of models like Ferrari 308s and 355s remain in tact. As far as the increased production goes, our best advice is hold on for dear life.